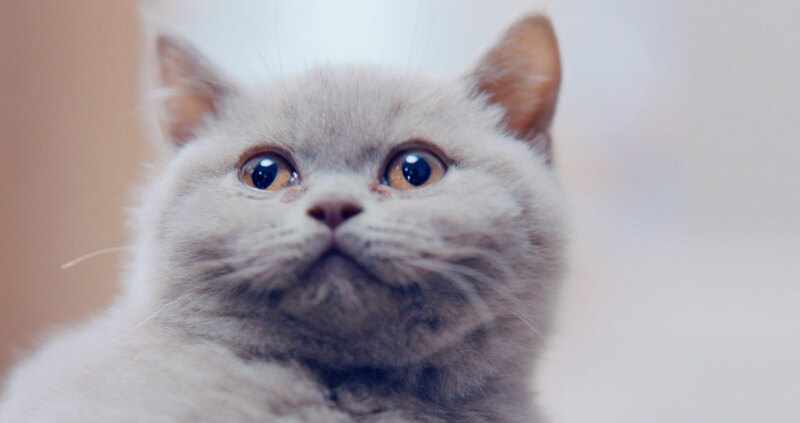 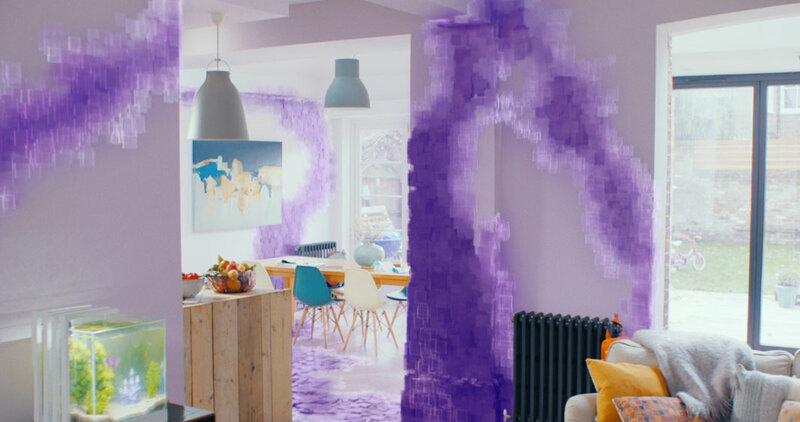 Working with AMV BBDO, Mill+ Director Aidan Gibbons and The Mill team helped create a surreal visual of how WiFi travels through our houses. 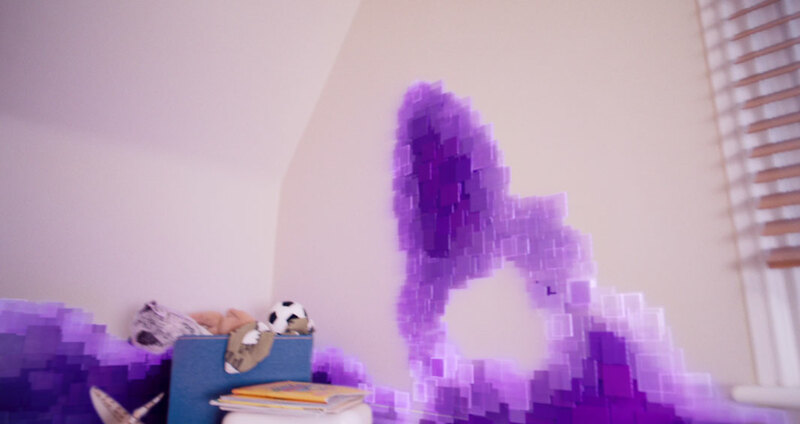 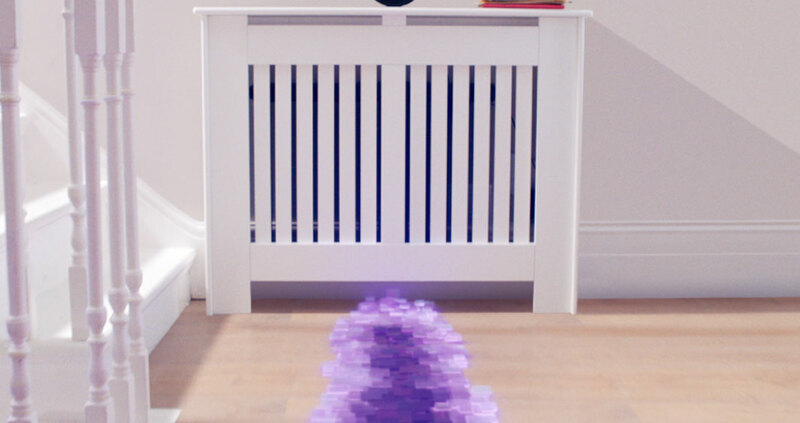 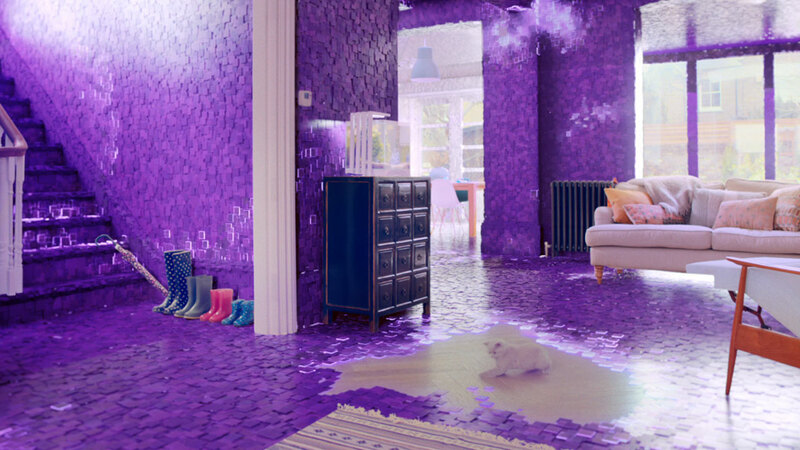 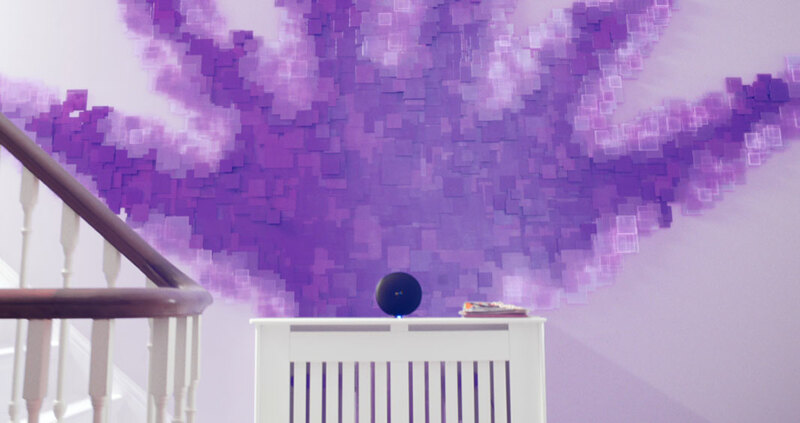 The spot takes the viewer through an empty home and shows a physical neon purple manifestation of WiFi travelling around the house, which slowly covers all the surfaces. 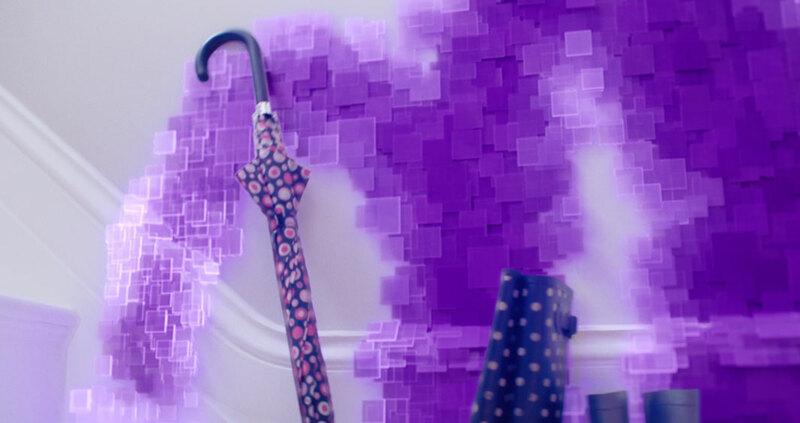 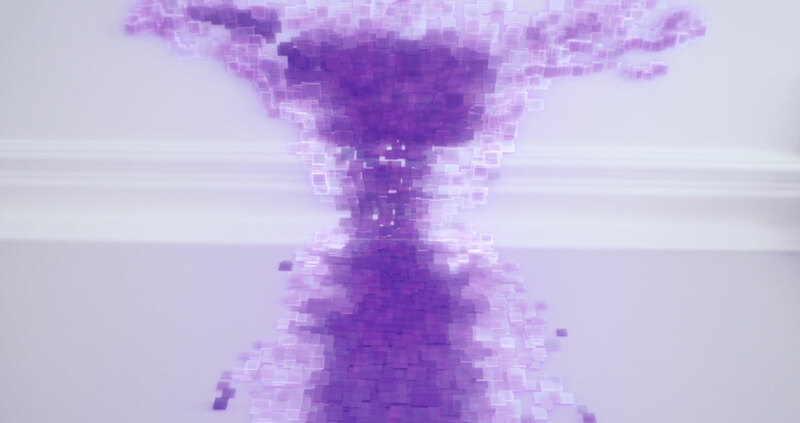 Shoot Supervisor and 3D Lead Artist Ed Shires adds ‘One of the biggest challenges was designing a look where the purple squares felt both physical and graphically interesting at the same time. 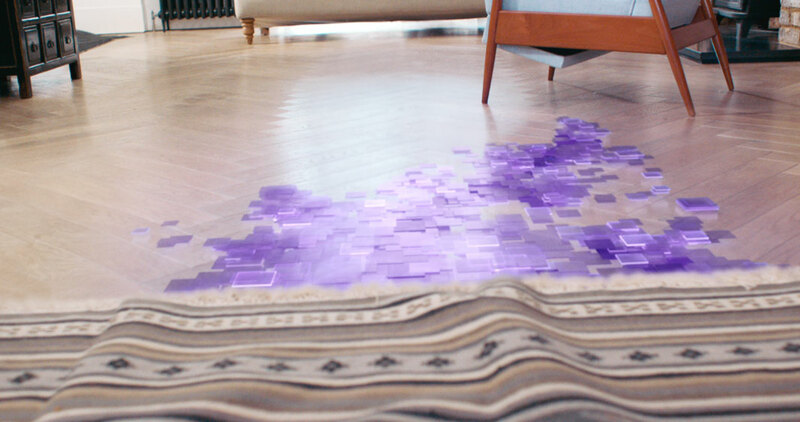 We added glowing edges and had the colour of the squares change depended on their speed.